 Generations Against Bullying simply opened up my daughters inner confidence allowing great strides and growth to occur. The opportunity for my child to work hand in hand with peers and adults who placed integrity and confidence at the forefront of all they did was simply God’s intervention! My daughter flourished as a young person maneuvering through the tumultuous teen years.  GAB offered her opportunities to apply tenderness, empathy, listening and speaking skills, creativity and leadership. All of the lessons learned while she worked as a Peer Ambassador enabled her to go on to a challenging and successful journey at the University of Wisconsin Madison. She is a talented young person who now volunteers and gets involved with people and groups that are dedicated to the well- being of others. She has inner peace. Thank you GAB for the journey she experienced and will continue to utilize throughout her entire life. The focus on a growth mindset with young people enables them to find their inner strength and then be able to share this virtue with others.